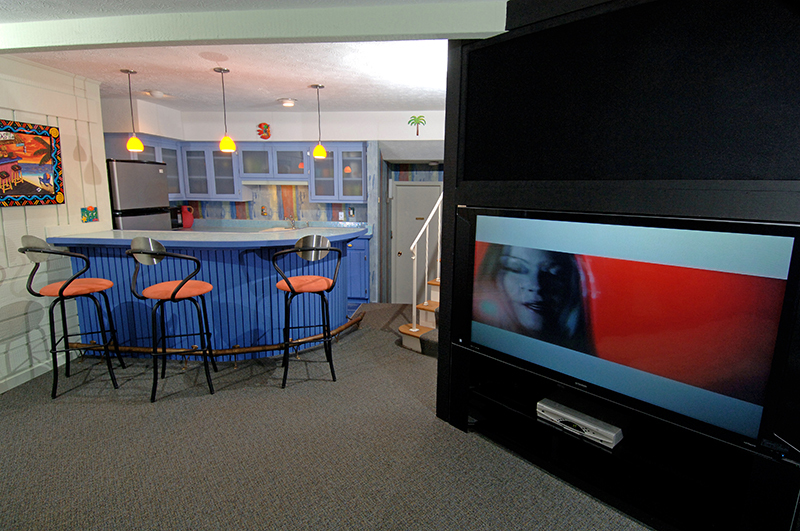 In this basement remodeling project in Solon, Ohio we created a fun, bright, and colorful Caribbean getaway complete with media room, bar, and half bath. 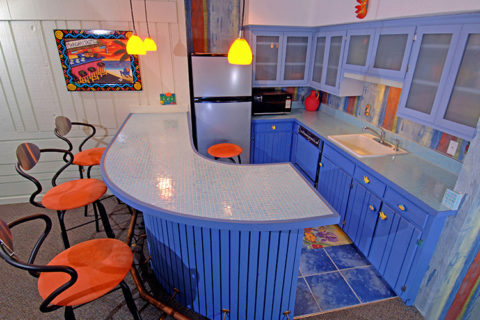 Original cabinetry was saved where possible and was then updated with new glass door inserts and painted in fun and funky colors. 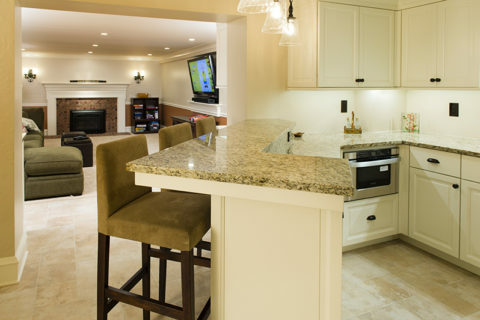 A mosaic glass tile bar top was installed on the radius bar. 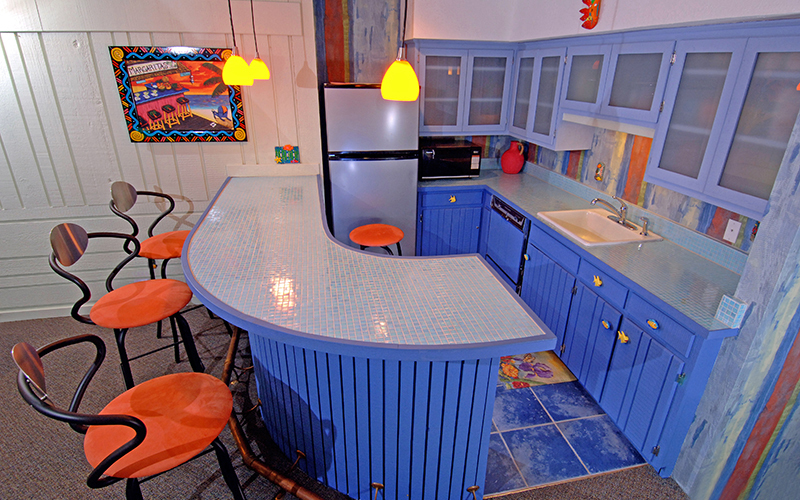 Mosaic glass tiles on the bar, tropical paint colors and fun art contribute to the Caribbean theme. 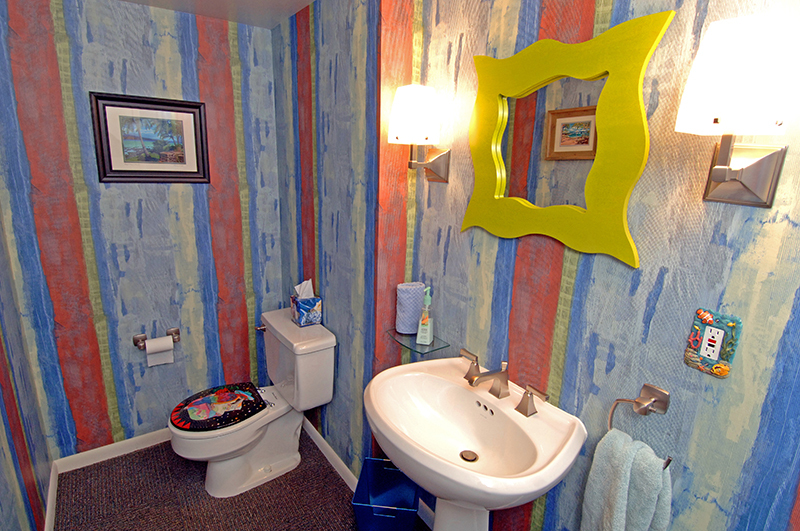 After removing a big brown vanity, the Caribbean theme was brought into the half bath. 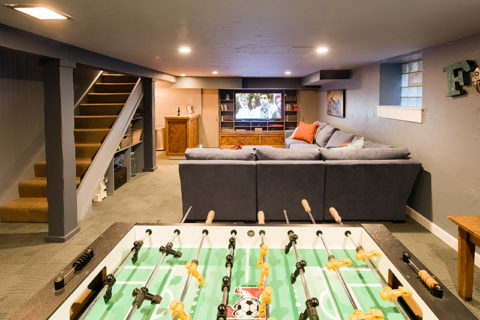 The formerly dark brown space was brightened, and a wide-screen TV was built in for football Sundays. 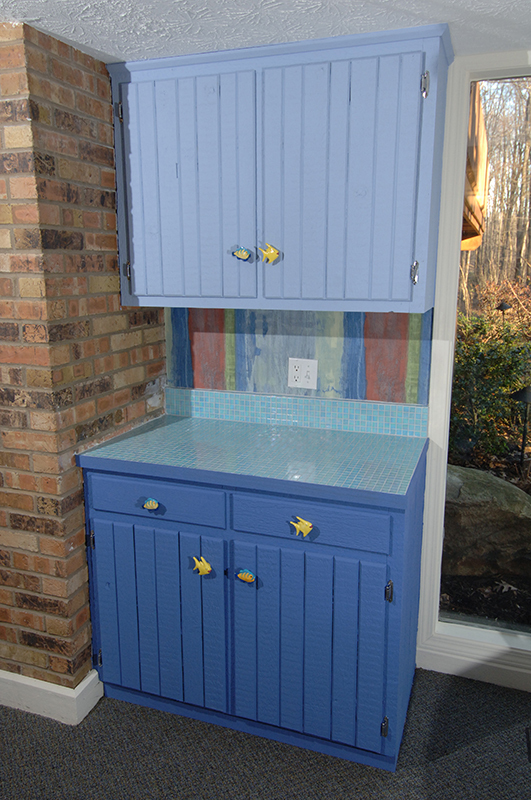 Fish knobs, bright colors and glass tile contribute to the light-hearted theme. 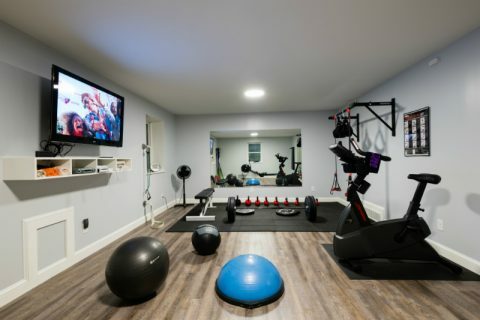 Challenges: Wiring for new lighting without doing major damage; building in the TV while making sure it had proper airflow to avoid overheating. 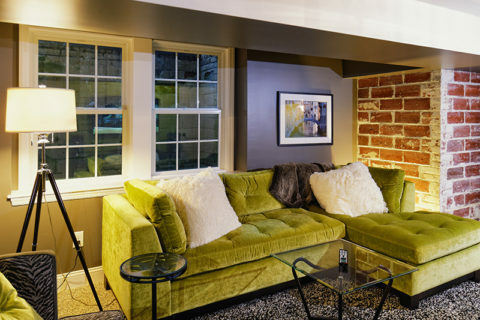 Comments: We love that our home now has a space that feels like our favorite vacation spot.